United Engineers office building by Miller & Favazzo Properties - quality real estate development and property management. This 700,000 SF, 20-story office tower in downtown Philadelphia was designed by the New York office of Welton Beckett. 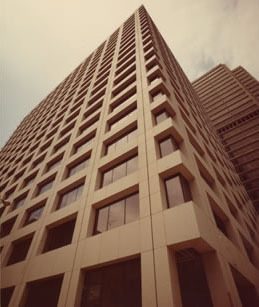 At the time of its construction in 1976 it was the headquarters for United Engineers & Constructors. Clad in warm pink granite, it also provided offices for PricewaterhouseCoopers and the law firm of Ballard Spahr Andrews & Ingersoll.